The Orthodox ChurchThe Orthodox Church today, numbering over 250 million worldwide, is a communion of self governing Churches, each administratively independent of the other, but united by a common faith and spirituality. Their underlying unity is based on identity of doctrines, sacramental life and worship, which distinguishes Orthodox Christianity. All recognize the spiritual preeminence of the Ecumenical Patriarch of Constantinople who is acknowledged as primus inter pares, first among equals. All share full communion with one another. The living tradition of the Church and the principles of concord and harmony are expressed through the common mind of the universal episcopate as the need arises. In all other matters, the internal life of each independent Church is administered by the bishops of that particular Church. Following the ancient principle of the one people of God in each place and the universal priesthood of all believers, the laity share equally in the responsibility for the preservation and propagation of the Christian faith and Church. EstablishmentBefore the establishment of an Archdiocese in the Western Hemisphere there were numerous communities of Greek Orthodox Christians. The first Greek Orthodox community in the Americas was founded in New Orleans, LA by a small colony of Greek merchants. History also records that on June 26,1768 the first Greek colonists landed at St. Augustine, FL, the oldest city in America. The first permanent community was founded in New York City in 1892, today’s Archdiocesan Cathedral of the Holy Trinity and the See of the Archbishop of America. The Greek Orthodox Archdiocese of North and South America was incorporated in 1921 and officially recognized by the State of New York in 1922. 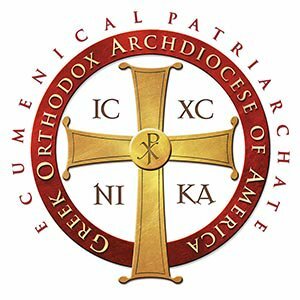 OrganizationThe Greek Orthodox Archdiocese of America is composed of an Archdiocesan District — New York and eight Metropolises: New Jersey, Chicago, Atlanta, Detroit, San Francisco, Pittsburgh, Boston and Denver. It is governed by the Archbishop and the Eparchial Synod of Bishops. The Synod of Bishops is headed by the Archbishop and comprised of the Bishops who oversee the ministry of the Metropolises. It has all the authority and responsibility which the Church canons provide for a provincial synod. MissionThe mission of the Archdiocese is to proclaim the Gospel of Christ, to teach and spread the Orthodox Christian Faith, to energize, cultivate, and guide the life of the Church in the United States of America according to the Orthodox Christian Faith and Tradition. ​You can visit the Archdiocese Website by clicking here.